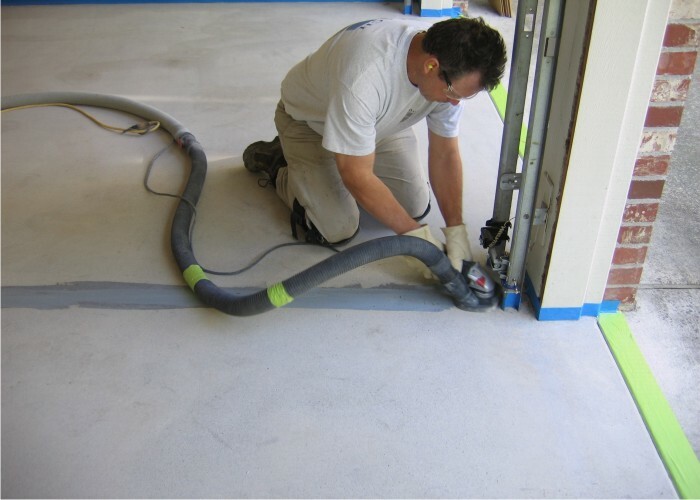 Outside of controlling moisture vapor emissions, the single most important step in any concrete coating application is the preparation of the surface. Ninety percent or more of all coating failures can be traced back to the elimination of this critical step or simply performing it improperly. At Bach Custom Coatings we understand this integral part of the process and utilize a variety of techniques to obtain optimal results. 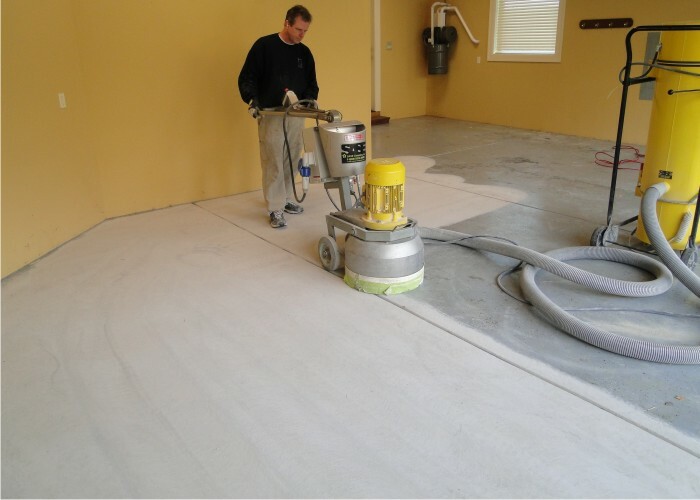 It’s important to remember, without the proper surface preparation, any coating, no matter how good it is, will have little chance of adhering properly. 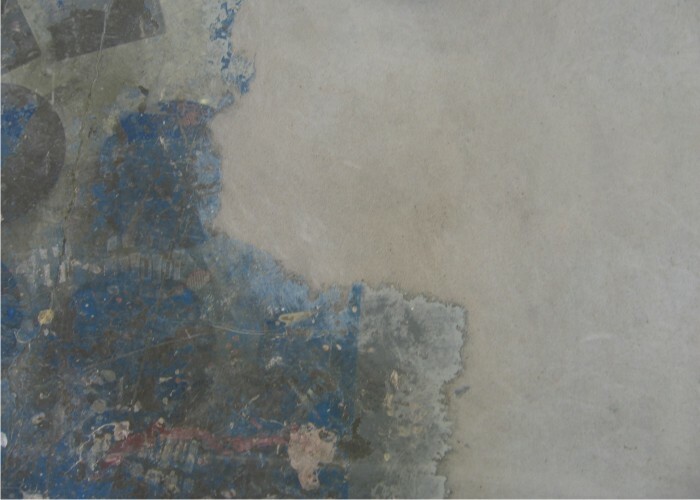 That’s because surface contaminates such as dirt, oil, salts, efflorescence, sealers and previously applied coatings can all form a bond breaking barrier between the new coating and the concrete itself. The preferred method of creating a suitable surface profile for most epoxies and high build coatings is by shot blasting. Using steel shot propelled in a controlled pattern at a high velocity quickly removes old coatings, surface contaminates, and other potential bond breaking materials. By opening up the pores of the concrete via shot blasting, the surface area of the slab can be increased by two to three-hundred percent. This insures that the concrete and the subsequent primer coat form a tenacious bond. Another suitable means of preparing the surface is by diamond grinding. 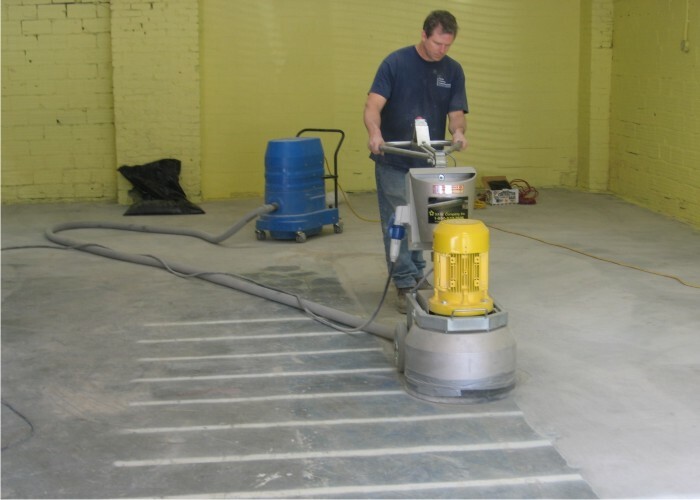 Using various “grits” of specially cut synthetic diamonds along with precision machinery, we are able to glide across the surface of the concrete removing old coatings, mastics and adhesives as we go. Besides creating a surface that the coating will adhere to properly, unevenness in the slab’s terrain and other surface irregularities are also minimized during this process. 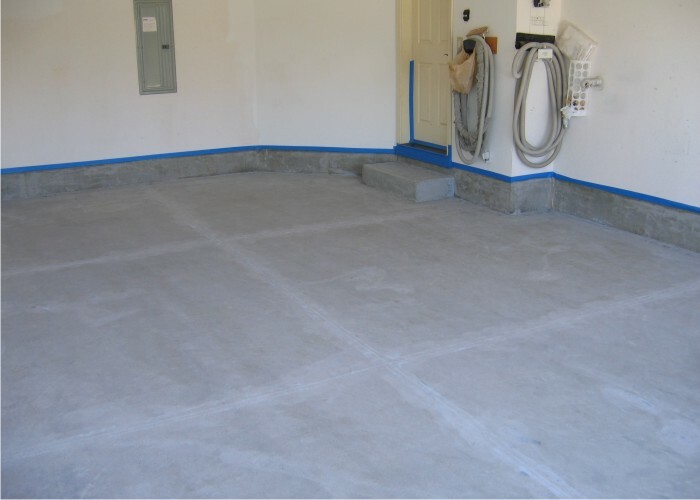 A third type of surface preparation is to chemically etch the concrete. 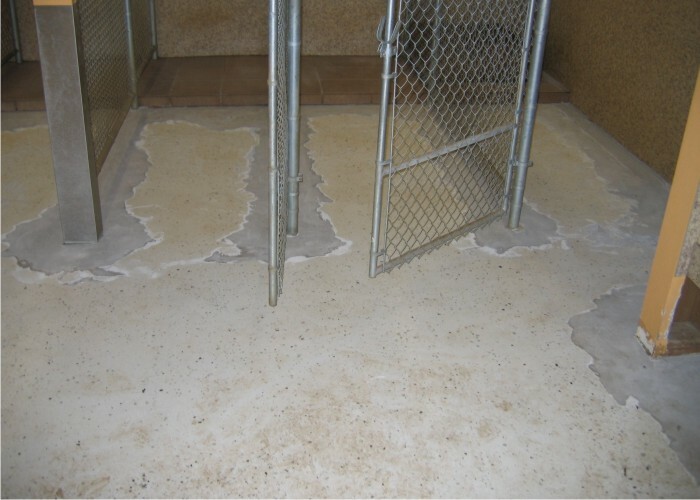 While there are certain situations where this is a perfectly acceptable solution, overall it is the least desirable means of readying the slab for a coating application. Great care must be used to insure any and all of the chemicals used are neutralized and thoroughly rinsed to remove any residue, as even the smallest trace remaining can cause the coating that is applied afterward to improperly cure. 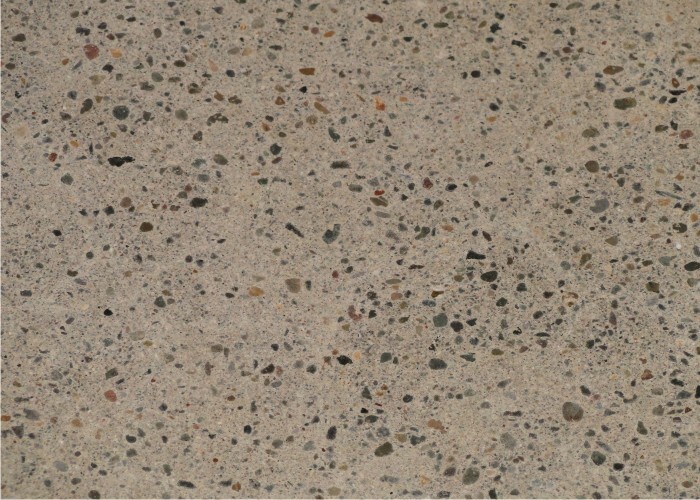 Disposal of the inert chemicals, environmental considerations and drying time once the process is complete are all concerns when selecting this means of preparing the concrete. We would strongly advise against using this method of surface preparation unless there simply isn’t any way to avoid it. Because of the potential for problems that arise from this type of preparation we would also suggest this not be attempted by the homeowner.